Eight years out from the Great Crash of 2008-09, the American and global economies continue to recover at best slowly, insofar as they are doing so at all. The “Great Delevering” that many thought to be a prerequisite to real recovery has to some extent occurred, at least in the home mortgage sector. Yet this levering-down has been accompanied by resumed and even unprecedented levering-up in other household sectors – notably auto loans and student debt. In earlier work, we showed that the post-crisis slump bore all the hallmarks of a classic Fisher debt-deflation. We also demonstrated, correspondingly, that the decades prior to the crash had been characterized by a sequence of classic credit-fueled asset price bubbles of precisely the kind that culminate in debt-deflations – bubbles that policymakers had embraced with varying degrees of deliberateness as substitutes for stagnant real wages and salaries in a world awash in newly abundant cheap labor and attendant capital glut. Finally, we proposed a three-pillared plan (a) to wrest the American and world economies out of the then still ongoing slump, while (b) laying the groundwork required to avoid a repeat performance. As it happened, a gridlocked Congress declined to take our advice – not to mention the complementary advice of many others. It even moved, at various points, toward embracing premature austerity policies that would surely have resulted, had it not been for countervailing action on the part of the Federal Reserve, in a full repeat performance of the Great Depression. Europe did much the same, while China, ironically, embarked on its own love affair with American-style private-debt-fueled growth to stave off stagnation. The results have been, from our point of view, quite predictable and that is not good news. We offer the present paper as a “progress” – or perhaps better said, “regress” – report of sorts, taking stock of the crucial role still being played by private debt in fueling what little economic growth there has been. We begin with a few macro-trends observable with respect to household consumer debt (exclusive of mortgage debt) in aggregate, showing how it appears once again to be substituting, now at regular intervals, for missing wage- and salary-based purchasing power. We then turn to specific categories of household debt, commencing with student debt – that category of private debt that has ballooned most steadily since the “Great Delevering” first began in 2009. 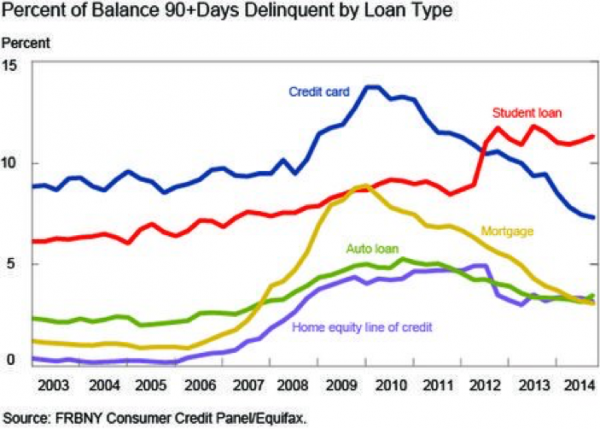 From student debt, we then turn to auto loan and revolving (mainly credit card) debt. Finally, we sum up, and conclude with some tentative policy recommendations – recommendations that might look familiar against the backdrop of our earlier work. One of the most significant misconceptions about household debt in the U.S. is that increases in mortgage and consumer debt constitute a positive indication of consumer confidence in the economy. That may or may not have been true historically, but our data indicates that since the age of debt-fueled growth in the U.S. began in the mid-1980s, it has become less and less so. In the post-Great Recession era, it appears that, rather than an indication of confidence, spikes in consumer debt should be viewed as a canary deep in the coal mine of (a) strapped households borrowing to make ends meet, and (b) less-strapped households borrowing to maintain their standards of living. The fact is that since the mid-1980s, current personal income – when calculated more or less on a cash basis – has been generally insufficient to cover current personal outlays. This was certainly not the case prior to the 1980s. To supply a simple but meaningful analysis, we turn to the Personal Income and Outlays (“PI&O”) tables of the Bureau of Economic Analysis’ National Income and Product Accounts (“NIPA”) and make one small adjustment. We deduct current period contributions that employers make to pension and retirement plans, workers compensation insurance, unemployment insurance and life insurance from the BEA’s calculation of disposable (after-tax) income “Adjusted Disposable Income” (while leaving in health insurance due to the current nature of its benefit). We then calculate the surplus or deficit in our Adjusted Disposable Income vs. the total of BEA-reported personal outlays as a percentage of Adjusted Disposable Income. This can be thought of as akin to the conventionally reported savings rate on a current cash flow basis. 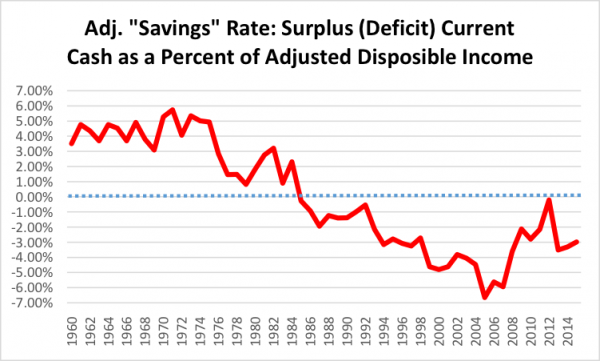 Unsurprisingly to us, but perhaps shockingly to others, this bit of analysis shows that prior to 1986, Americans enjoyed a rather healthy current surplus (see Figure 1). One can, of course, add back the employer contributions to retirement savings and insurance to get the double-digit savings rates that were typical of the period before the “let them eat debt” era of supplementing diminishing household incomes with ample helpings of under-regulated lending. But this would conceal the degree to which Americans continue to rely on consumer debt to maintain living standards in ways they did not do, or have to do, prior to the 1980s. A few further points bear noting before we go on. All of the calculations in this section of our paper use aggregated data that is readily available from the government. We have no doubt that breaking this data down by household income quintile would demonstrate even more extreme divergence in the middle quintiles. Further, we have ignored the small amount (under $30 billion, a very small number by NIPA standards) of current effect on personal consumption that employer contributions to retirement and insurance benefits have. Nevertheless, this raw analysis is telling. During the credit bubble of the 2000s, the foregoing deficit hit its peak, as – relatedly – did the pace of taking on debt by households. We suspect these two factors are two sides of the same coin. The (false) prosperity that was associated with the bubble of the last decade and, as the above table indicates, the bubble of the late 1980s, is now generally well understood. But what has received little or no attention is the degree to which these factors are still at work in the post-recession period. Our analysis clearly shows that there are and in a way that helps explain why the so-called recovery the U.S. economy has not reached liftoff “escape velocity.” Despite the creation of many jobs since the nadir in employment reached during the Great Recession, the U.S. economy is still very unhealthy when one looks at the pattern of household income and consumption. Except for some recent gains, real wages have continued to stagnate while the number of jobs offering both low wages and short hours has increased in percentage terms. Not surprisingly, households have been forced to borrow to maintain consumption but their capacity to borrow has been more limited than during the credit bubble years. The result has been paltry levels of current growth..
On a quarterly basis, consumer spending, retail sales and other fundamental indicators of the dynamics of personal spending have experienced repeated “mini-cycles” of fairly acute expansion and contraction. 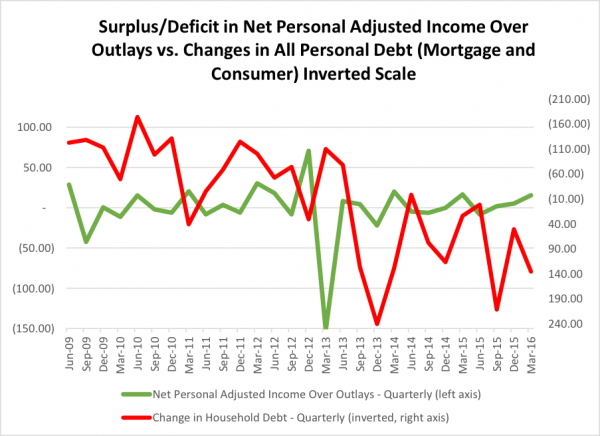 The same can be said for our Adjusted Disposable Income relative to personal outlays, which has swung back and forth between small surpluses and deficits every six to nine months. Furthermore, since the collapsing prices of housing hit their lows nationally in the second half of 2012 – and mortgage delevering (which was achieved substantially through default) slowed and then reversed itself – from the second quarter of 2013 through the first quarter of 2016, we have seen households add over $1.1 trillion in new mortgage and consumer debt. Interestingly, the level of increases in household debt have also seen substantial temporal swings. With some lag (six to nine months) against the aforementioned fluctuations in current household deficits as calculated herein, the periodic increases in household debt appear to mimic the patterns of income and outlays. 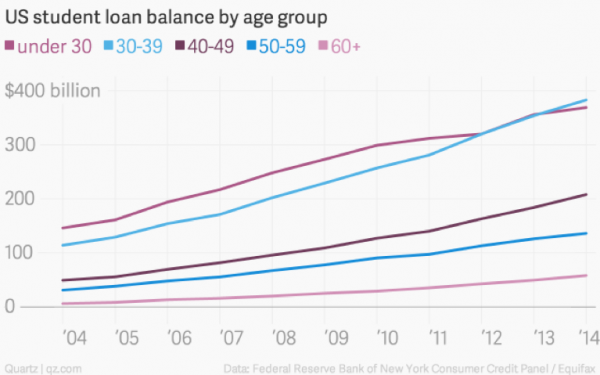 There are two possible reasons for this, and more research will be required to ascertain which, if either, is the dominant factor: either (a) households have a propensity (as appears to be the case since the 1980s) to borrow whatever lenders are willing to lend and thereafter spike consumption until they reach their credit limits, or (b) periodically increased deficits in current disposable cash flow relative to outlays spur more borrowing thereafter to plug the gap in an attempt to maintain living standards. Or the answer could be a combination of both. We think that the above chicken and egg issue is less important than the reality that even the anemic levels of economic activity to which we have become accustomed are again heavily dependent on household debt creation. Even though the level of current period household deficits is lower than those of the bubble era, they are still deficits and would weigh heavily, in the absence of the ability for households to borrow, on consumption. The upshot of all of this is that the underlying reliance of policy-makers’ cherished New-Keynesian synthesis on assumptions of rational, optimizing behavior has been itself rendered quite irrational by the combination of households’ desperation and desires. For it is those factors, not the illusive confidence fairy, that have been driving a resumption in household borrowing. Figure 2 shows that this pattern took hold in 2013 after the initial deleveraging ran its course. . Here we can see the nearly continuous delevering that occurred from the onset of the Great Recession through early 2013 reverse itself with the creation of over $1.1 trillion of new household debt since that period. We can also observe that the increase in household debt is not a smooth function but rather relates to, or at least rhymes with, a pattern of periodic fluctuations in net current disposable incomes after outlays, the aggregate of which over the period is still negative. Two closing thoughts before we proceed to the next section. First, it should be noted that much of the increase in household debt over the past three years has been enabled by the existence of historically low global interest rates. One can only imagine the impact on the economy were interest rates to rise, not only in terms of the effect on the spending deficit discussed herein but on the flow of new household debt on which the economy has become so dependent. Second, this renewed use of household borrowing as a “plug” to fill the gap between consumption and income would be especially concerning if the U.S. were to slide back into a recession (the current expansionary cycle, albeit lame, is becoming long in the tooth by historical standards). Economists are now beginning to understand the role that household debt has played in maintaining living standards and thus economic growth. But have markets and consumers an equal appreciation of where this phenomenon inevitably leads us? What we have said of the predictive character of aggregate household consumer debt since the crash of 2008-09 appears to be doubly true of student debt in particular. It is almost as if the latter were, so to speak, “the canary’s canary.” We’ll first discuss some of the more significant quantitative measures, then conjecture as best we can about the underlying causal dynamics, which we believe to be emblematic in a particularly telling way of the trends discussed in the previous section. Student debt is the one category of private debt that has grown from the very start of the general credit contraction that commenced circa 2008 and came to be known as the Great Recession. Even as mortgage debt and, for a time, broader consumer debt aggregates came down post-2008, student debt continued to rise. It passed the $1 trillion mark in 2013, thereby becoming the second largest household debt category after mortgage debt, and since then has passed the $1.3 trillion mark. 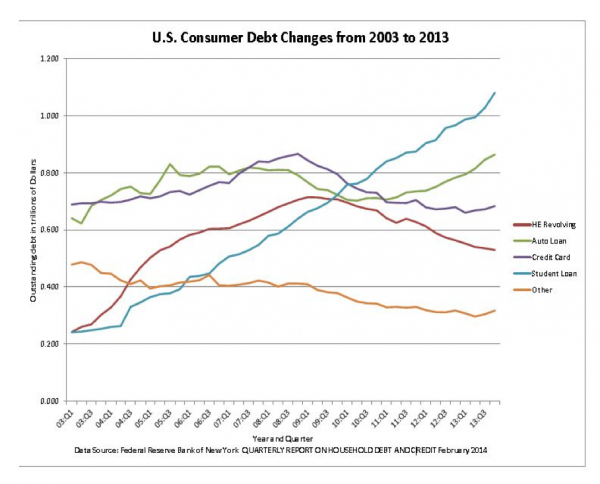 Figure 3 shows the trendline, along with those of other categories of household debt for the sake of comparison. At least as remarkable as the levels of the current numbers are their comparison to counterpart figures from as recently as just over ten years ago. In 2005, only three years before the onset of the Great Crash and Recession, outstanding student debt aggregated to a mere $250 billion. The aggregate has, in other words, grown more than five-fold over the past decade. How has such growth in indebtedness, primarily during a time of contraction followed by still-anemic growth, been possible? And what has prompted it? An answer to these questions should begin by disaggregating and attending to the principal channels through which the growth has occurred, then testing the prospective dynamics that are consistent with those disaggregated quantities. The first thing to note for this exercise is that student debt growth has been an increasing function of both (a) growing numbers of borrowers, and (b) growing quantities of (even inflation-adjusted) debt taken out by each borrower (see Figure 4). Intriguingly, both of these sub-aggregates have expanded at about the same rate, with approximately 70% more student borrowers in 2015 (now 39 million) than in 2005, and approximately 70% more funds (now $25,000 on average) borrowed by each borrower in 2014 than in 2004. These trends, even when adjusted for inflation, have been ongoing since the early 1990s at latest, but accelerated around 2008 (again, Figure 4). 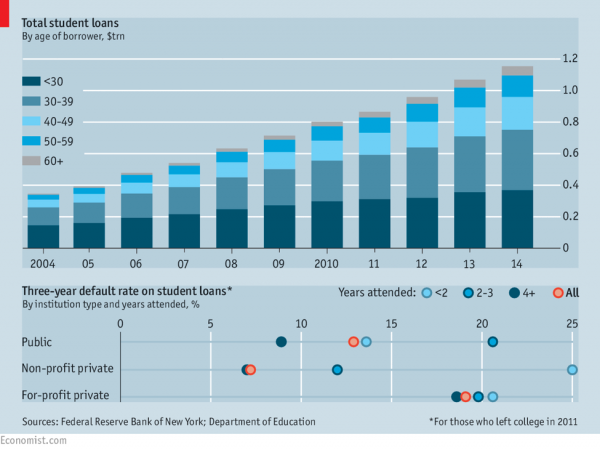 More Americans, then, have been borrowing to attend school during the Great Recession and its tepid recovery, and they have been borrowing more. The next questions to ask are (a) who in particular has been doing the borrowing, (b) for what kinds of education – and perhaps other needs – have they been doing the borrowing, (c) from whom have they been borrowing, and (d) to whom have the borrowed funds been transferred. With respect to the first question, growth in student debt has been largely a middle class phenomenon, with students who are either adult and independent (see Figures 5 & 6), or dependent upon middle-income ($65K-$100K) families, accounting for the lion’s share of student loans aggregating to $40K or higher. With respect to the second question, the greater part of growth in student lending appears to have gone to pay for expensive but low-quality degrees, typically two-year degrees offered by private, for-profit institutions. disproportionately attended by students of color is also worth noting. We will, accordingly, have more to say on this below. How are we to explain these developments? Intriguingly, the best explanation appears to be that which coheres most cleanly with the aggregate borrowing trends noted in the previous section. Our conjecture is that there is both a demand side and a supply side explanation for the numbers, and that each coheres well with the story emerging from the previously interpreted data. On the demand side, the Great Recession and tepid post-Recession “recovery” confronted middle class Americans with a two-fold lesson: first, the present was not a good time to search for gainful employment; and second, to be more competitive in a tighter employment market, one would do well to boost one’s job qualifications relative to others. In addition, student debt can be, and is, used for consumption as well – by students themselves, by parents or guardians who might previously have covered students’ consumption expenditures out of their own incomes, savings, or both. Data now accumulating suggests that there is more than an element of truth in all of these demand-side conjectures. And against this backdrop, the fact that only 33% of student lending is flowing to borrowers under the age of 30 (see again Figure 5) takes on particularly interesting significance. On the supply side, with the mortgage markets clearly in trouble and in obvious need of significant delevering from 2008 onward, government-encouraged student lending represented, along with auto loans as discussed in the next section, one of two sole remaining lending markets in which credit was apt to remain widely available during the post-crash period. As a practical matter, student debt is available to almost anyone who can “fog a mirror,” in a manner reminiscent of the nearly $3 trillion in private (non-government guaranteed), subprime and alternative mortgage debt issued during the bubble of the 2000s – which was also extended to people who proved ultimately unable to repay. 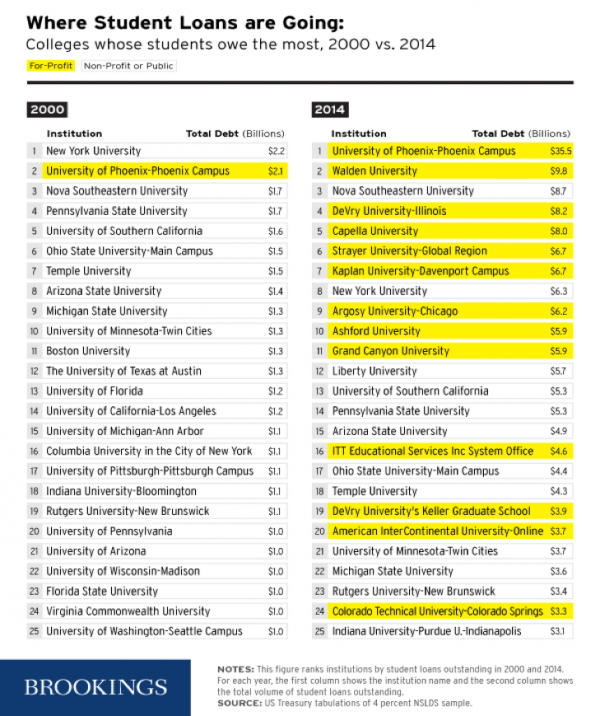 Meanwhile, strapped state and city budgets prevented non-profit state and county universities and community colleges from expanding capacity to meet this increased demand, making private, for-profit institutions the only game in town for many new student borrowers. The numbers and trends elaborated above are best interpreted as a case of large numbers of Americans deferring much of the systemic delevering that thoughtful observers have called for in the wake of the crash of 2008. 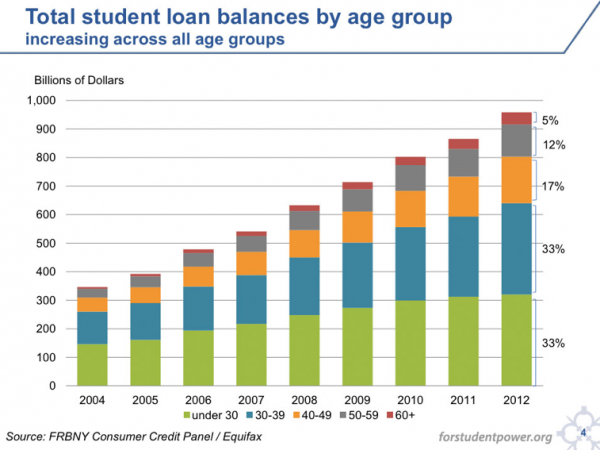 Rather than reduce overall household debt levels, they have used new lending – including student loans – as has been available. In other words, they have in effect been betting on the future—that somehow debt-financed education will pay off for them. Add to this the fact that, since the 2005 “reforms” to the Bankruptcy Code, student debt cannot be discharged in bankruptcy, and the danger grows especially apparent. After all, the only other form of debt excluded from bankruptcy protection is – yes – mortgage debt. Moreover, students whose parents take out additional debt in their names, as we noted above has been happening, are denied access to most other forms of college debt forgiveness as well. We’ll return to these matters when we turn to our policy recommendations below, in Section 6. The upshot of all of this is that rising student debt aggregates, particularly given their composition as just described, are now beginning to imperil the broader economy. The danger flows through several channels. For one thing, this category of borrowing compares unfavorably to other forms that could, in principle, aid long-term wealth accumulation, such as (a) lending for successfully sought vocational degrees that culminate in employment, (b) mortgage lending, and (c) some automobile lending. For another thing, it of course, tends to depress spending once borrowers drop out or fail to find post-graduation work, pursuant to the familiar debt-deflation dynamic. Relatedly, it appears to suppress “start-up” investing by otherwise entrepreneurial graduates who have to settle for more reliable sources of income to pay down their debts. There is even evidence suggesting that the student debt burden is delaying family formation. What, then, to do? We’ll get to that shortly, but first there are two more specific categories of household debt that bear noting and tracking – auto loans and revolving (mostly credit card) debt. While student debt (a) has grown to potentially crisis-generating levels, and (b) has constituted the largest single sector of household debt growth both during and since the Great Recession, it is important to examine auto loans and revolving credit (mostly credit card debt) as well because these categories of household have grown almost as fast as student debt in aggregate numbers..
We’ll begin with auto loans, which like student loans are available to people with virtually any level of creditworthiness. In fact, the substantial recovery of U.S. vehicle sales to pre-recession levels – itself responsible for a large portion of otherwise-anemic retail sales and GDP growth – can be largely ascribed to the existence of a fulsome sub-prime auto lending and leasing sector (see Figure 11). As with education, consumption here has moved in line with the availability of finance. And, in keeping with our “economic plug” hypothesis offered in Section 2 – increased debt loads have offset declining real disposable incomes and reductions in household liquidity. As a result, outstanding auto loans now well exceed their pre-recession level, which fluctuated between $775 billion and $825 billion, and fell to less than $700 billion in response to the Great Recession. 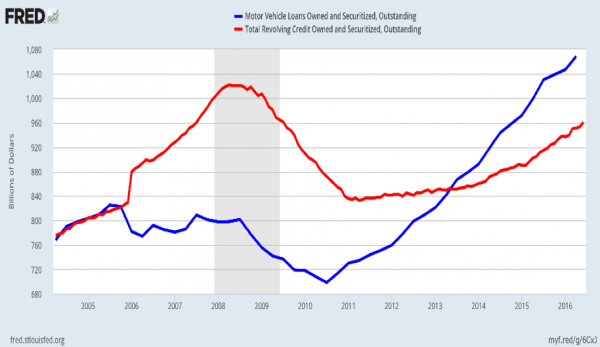 Since its nadir in mid-2010, the volume of outstanding auto loans has now once again grown by a factor of over 50% by $370 billion, while total U.S. disposable personal income has grown (nominally) by less than half that rate. Indeed, at $1.07 trillion outstanding, auto loan debt now ranks third behind mortgage and student loan debt and, for the first time since the 1980s, materially exceeds revolving credit outstanding (see Figure 12). During the latter part of the great credit bubble of the 2000s, revolving credit use was very much tied into the Ponzi-finance mortgage machine. While household debt of all types had tended to grow at uniform rates going all the way back to the beginning of the tracking of credit card debt in 1968, the rate of credit card debt growth skyrocketed mid-decade as home prices and mortgage lending did likewise. 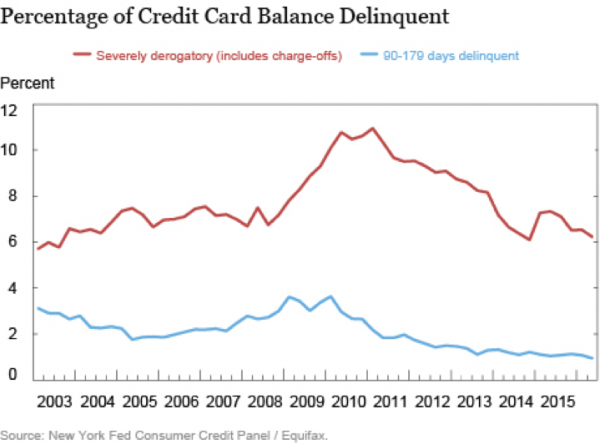 This was due to the employment of credit cards as a periodic smoother of the six to twelve month cycles of continuous home refinance and mortgage equity withdrawal behavior that was the hallmark of the era – as well as the driver of the era’s “false-prosperity.” Homeowners would periodically ramp-up credit card debt, then refinance it out with new mortgage debt. In mid-2008, with the collapse of the private mortgage securitization industry, the aforementioned behavior came to an end and – as a result of both massive credit card defaults and a somewhat lesser degree of borrower reticence stemming from the Great Recession – the amount of credit card debt outstanding plummeted by nearly $200 billion (19%) through mid-2011. Because credit card issuers were so badly burned, and because bank and consumer protection regulation grew more stringent, banks maintained very tight credit card standards through Q1 2014, and revolving household credit showed little growth over nearly three years. Since then, as bank profitability has been under pressure from zero-to-negative interest rate policy and as households have experienced ever-greater need to plug gaps in their falling standards of living as we demonstrated in Section 2, credit availability has loosened and outstanding credit card debt has risen by approximately $100 billion in two and a half years. 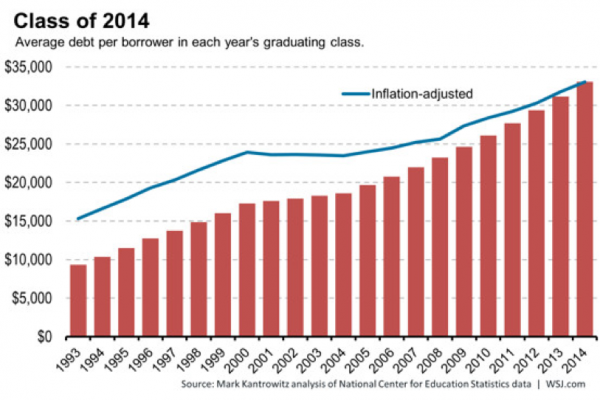 While this is small in comparison to the balloon of revolving credit in the mid-2000s, it is not immaterial. A substantial portion of the increase in credit card debt outstanding has been generated, once again, from sub-prime borrowers. Despite a dramatic decline in almost all other household debt interest rates, average credit card rates are still in excess of 16%. Since the Great Recession, there has been significant resistance, on the part of people under 35, to amass credit card debt – or even have a credit card - to begin with. 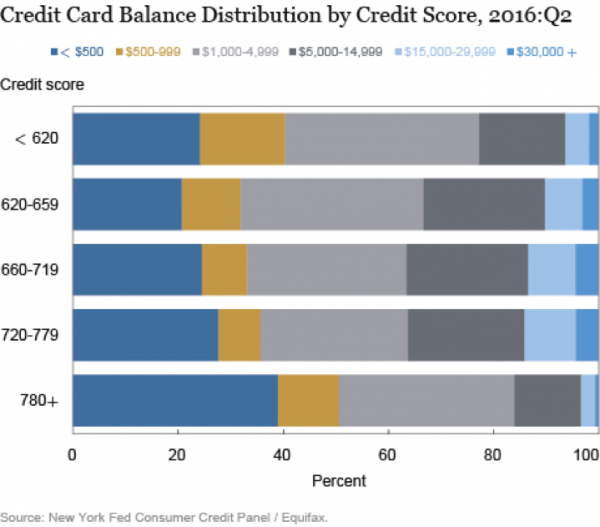 Were this not the case, credit card borrowing would be substantially higher – and because this is the case, it is appropriate to draw the conclusion that credit card debt is becoming more highly concentrated in households with more of a need to borrow and a lower likelihood of rising incomes in the future. Data recently reported by Transunion and the Federal Reserve Bank of New York (“FRBNY”), respectively, indicates that the trend now is accelerating. Transunion reports that over 10 million new consumers have entered the credit card market in the past year, bringing the U.S. total to over 133 million citizens. Subprime balances – i.e., those accumulated by borrowers with FICO scores below 660 – make up 11% of the $662 billion total, aggregating to $72.8 billion. This is up from 10.3% ($64.2 billion) a year earlier – a 14% rise. FRBNY data corroborates Transunion’s calculations, while also affording longer term perspective, as shown in Figure 13. It is also important to note that subprime borrowers also appear to maintain credit card balances at the upper end of the distribution, as shown in Figure 14. This means that they may have little room for further credit expansion and are at increased risk of default. we are still too early on in the emergent period of renewed subprime credit card borrowing to expect that. Here is another category of household debt, then, that will bear careful observation in the coming months. In sum, then, we see that household debt aggregates are now rising once again to worrisome levels much as they did in the lead-up to the Great Crash of 2008 – and for reasons eerily reminiscent of those that accounted for developments before 2008. The principal differences between now and then are two. The first is in respect of the composition of the debts: whereas before 2008 mortgage debt and associated revolving credit card debt were the principal components, today student and auto loan debt constitute the principal non-revolving forms of debt, while revolving credit card debt is once again rising to levels reminiscent of those seen in 2008. The second difference is that, while rising home prices stemming from abundant mortgage credit were able to underwrite the appearance of wealth-growth and thus generate growth-stoking consumer spending prior to 2008, the present spate of debt-growth seems at best to be putting off the inevitable – viz., continued stagnation. This suggests that real economic recovery in the U.S. and beyond is going to require, once again, both debt relief for the short term and, in the longer term, real growth independent of private debt. In other words, it is going to require something much like what we prescribed back in 2011. On, then, to our recommendations for the coming five or so years. The tale that we told above is the predictable continuation of the story we have been telling in our other work over the past five plus years. In the several decades leading up to 2008, debt replaced real wealth and incomes as indispensable sources of demand in a macroeconomy dependent upon demand continuation. The trouble with debt-dependence in housing, for example, is that, when continued indefinitely, it morphs into crash-prone Ponzi-finance in which debt finances more debt rather than real capital accumulation and real growth. When the lending in question is no longer for housing debt but instead for student debt, auto loans and revolving credit card debt as it is now, the problem becomes in a certain sense even worse than it was circa 2008. For in these more recent cases there are no appreciating assets – not even temporarily appreciating ones. While student debt might be thought an exception inasmuch as it finances “human capital” development, that is not the case when what is produced is an overabundance of degree-holders relative to reemployment opportunities. Moreover, those opportunities will not be forthcoming absent significant demand-side stimulus; supply side measures are, like central bank monetary easing, no more than “string-pushing” measures at this point. The crash of 2008 and the anemic “recovery” that followed have laid these truths bare once again. Yet the nations of the world have thus far failed to address the underlying problem – the problem of still-stagnant real incomes below the top of the distribution. Hence what we see now is resort to the last sources of continuing credit available – viz., central bank monetary easing and government-encouraged or -supported lending for consumer, auto, and education-purchases by struggling middle class citizens. In this final section, we want to take up two issues that flow from this analysis. First, we want to examine whether the continued reliance on consumer debt “plug”-financing and student debt will sow the seeds of another crash. And, second, we want to see how to address the core problems in the real economy that have fostered over-reliance on private debt, since the mid-1980s, in the first place. To begin with the matter of “seed-sowing,” then, the dynamic to worry about is essentially that which we have modeled in earlier work. Credit can only be extended for so long. At some point, debts come due and further credit extensions must await the repayment of earlier-contracted debts. If the earlier credit has fueled asset price bubbles, the point at which credit runs dry also is the point at which assets will plummet in value, leaving borrowers with negative net worth and bringing a sudden and cataclysmic contraction of consumer spending. If on the other hand the borrowing has not fueled bubble-style price rises in owned assets, the contraction that ensues once the credit is no longer forthcoming will not be as sudden or dramatic, but will be drawn-out – it will look rather like “secular stagnation.” Either way, it is not good news for an economy dependent on consumer spending for continued growth and employment. There will still be a spiral and that spiral will be downward; it simply won’t be as fast and as steep. Moreover, a central bank that appears already to have maxed out on innovative monetary policy will be even less well situated to compensate now than it was earlier – a particularly ominous observation given that even five years ago we found it necessary to note that the Bernanke-era Fed had already reached the point of “pushing” on the proverbial “string.” Moreover, the longer the stagnation continues, and the longer the federal government must compensate for missing consumer demand with fiscal stimulus, the more difficult even this more direct form of countercyclical action becomes to sustain politically. Rather than continuing to rely upon private debt, creative monetary policy, and half-hearted fiscal policy, then, we think that it will be crucial to act much more boldly now in the name of slashing private debt and embarking on decisive and energetic fiscal policy. What does that mean? What, more specifically, is to be done? It will come as no surprise to those who have read our prior work that we believe much must be done on both the “asset” and “liability” sides of the household balance sheet, so to speak. That is, we believe that both affirmative growth-promoting measures in the real economy that will increase household income and forms of debt-forgiveness for certain classes of hard-hit Americans will be critically necessary. Over the longer term, solutions to the current problem of over-relying on private debt-financed higher education would include the following. First, we would expand public higher education capacity, thereby undercutting the need of resort to for-profit colleges. Second, we would regulate the latter institutions more carefully, including by requiring fuller disclosure of post-graduation employment rates and related information, and by loosening the requirements that must be met to bring suits in fraud against institutions that mislead prospective students into overvaluing the offered degrees. Finally, we would make public higher education free or near-free again, as it was as recently as the early 1980s. This would prevent the reemergence of student debt as a problem in future. Turning from student debt in particular to private debt more generally, here we would point to the measures we proposed in our earlier work. These include proposals for private debt refinancing, term-extending, forbearance and outright forgiveness. Together, this package of debt relief measures would address the liability side of the citizen’s balance sheet. But that is but half of the problem. The asset and income side is at least as important. For as long as confidence and growth in the macro-economy remain weak, citizens will need to take on additional debt to finance consumption and living expenses.. But no individual citizen, firm or group of the same can address these macro-drags on its own. The problem is one of collective, not individual action. We have a collective agent whose purpose is precisely that of addressing such problems. It is our government, which could jump-start economic growth, employment, and with them diminished debt-to-income ratios overnight, simply by finally addressing the nation’s still-scandalous and still-worsening infrastructure deficit, as we have argued before. With $3.6 trillion now needed to close the “infrastructure gap” by 2020, we needn’t look far for means of supplying ourselves adequate stimulus. As we and numerous other analysts have argued, a massive infrastructure program would create jobs, boost economic growth, improve productivity, and most importantly for our analysis here, boost household incomes. This “progress report” following up on our earlier work presents a worrying picture of an economy still too dependent on debt and now stuck in stagnation. Overall, we find that not a great deal has changed since our last writing. While there has been some delevering of mortgage debt – in large part thanks to continued default and foreclosure, while in smaller part thanks to modest price recovery in some local markets – there has been simultaneous levering-up under the categories of consumer and, especially, student debt. Meanwhile, on the “asset” and income side of the ledger, there has still been precious little fiscal stimulus, and next-to-nothing in the way of badly needed infrastructure spending. What all of this means in turn is that, (a) microeconomically speaking, the average American continues to struggle to make ends meet in the aftermath of the Great Recession, while (b) macroeconomically speaking, growth and employment in consequence remain precariously reliant upon continued growth in private debt aggregates – the same form of reliance that brought on our recent bubbles, busts, and subsequent debt-deflation in the first place. We have in consequence concluded that much the same policy prescriptions are in order in this paper as were in order in our last. All that has changed is the category of private debt we have targeted. Whereas in 2011 the most salient category was residential mortgage debt, in 2016 the most salient categories – for now – are consumer and student debt. Meanwhile, the nation’s infrastructure gap has only grown worse since we last wrote, while government borrowing costs have, if anything, grown even lower than they were then. The conclusion seems obvious. We know what needs doing; what remains is for the next President and Congress to do it. See Daniel Alpert, Robert Hockett, & Nouriel Roubini, The Way Forward (New America, 2011), available at https://www.newamerica.org/economic-growth/policy-papers/the-way-forward/. Also Daniel Alpert, The Age of Oversupply (2013); and Robert Hockett & Richard Vague, Debt, Deflation, and Debacle (2013), available at https://www.interdependence.org/wp-content/uploads/2013/04/Debt-Deflation-and-Debacle-RV-and-RH1.pdf. See sources just cited. The locus classicus is Irving Fisher, Booms and Depressions (1932). See Alpert, Hockett, & Roubini, supra note 1. Also Alpert, supra note 1. Alpert, Hockett, & Roubini, supra note 1. It is now a commonplace that the Fed of the 1930s, still in the process of learning its proper mandate, failed adequately to counteract post-1929 monetary contraction, while a premature tightening of fiscal policy on the part of Congress in 1937 had the same effect. See, e.g., Milton Friedman and Anna Schwartz, A Monetary History of the United States (1962). See, e.g., Robert Hockett, “China is Headed for a Debt Meltdown Like That in the U.S. in 2008 – Only Worse,” Huffington Post, 6 January 2016, at http://www.huffingtonpost.com/robert-hockett-/china-debt-meltdown-_b_8940382.html. Idem. Also sources cited supra, note 1. Also Steve Keen, “The Seven Countries Most Vulnerable to a Debt Crisis,” Forbes, March 27, 2016, available at http://www.forbes.com/sites/stevekeen/2016/03/27/the-seven-countries-most-vulnerable-to-a-debt-crisis/#389e4b394edc. See, e.g., Hockett & Vague, supra note 1. See, e.g., Student Debt Clock website, at http://www.collegedebt.com. Also Figure 3. As we observe below, there is some evidence that some borrowing has been for needs other than school-related needs. Idem. See supra, note 14, on the “insofar” qualifier. See, e.g., Robert Farrington, “Parents: Stop Taking Out Loans for Your Child’s Education,” Forbes, July 14, 2014, available at http://www.forbes.com/sites/robertfarrington/2014/07/14/parents-stop-taking-out-loans-for-your-childs-college-education/#1d5fd96755b1. Per Chapter 13’s “primary residence” exclusion from “cramdown.” See 11 U.S.C. Chapt. 13. See again Farrington, supra note 21. 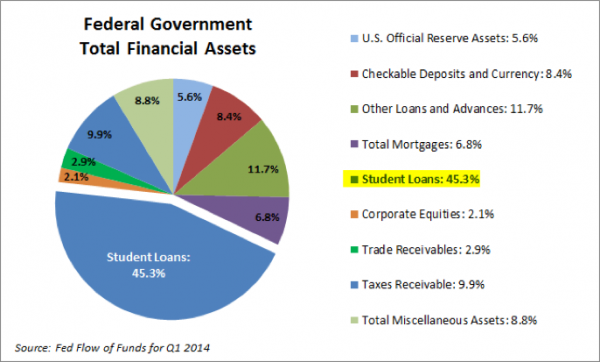 See, e.g., Ryan Gorman, “How Student Debt is Dragging Down the Economy,” Business Insider, May 1, 2015, available at http://www.businessinsider.com/3-charts-explain-the-effect-of-student-loans-on-the-economy-2015-5. Also American Student Assistance, Life Delayed: The Impact of Student Debt on the Daily Lives of Young Americans, 2013, available at http://www.asa.org/site/assets/files/3793/life_delayed.pdf. Idem. Also sources cited supra, note 1. See again sources cited supra, note 24. See Tina Wadwha, “Subprime Credit Card Lending is Making a Big Comeback,” Business Insider, August 17, 2016, available at http://www.businessinsider.com/transunion-report-on-increase-in-lending-to-americas-subprime-borrowers-2016-8. 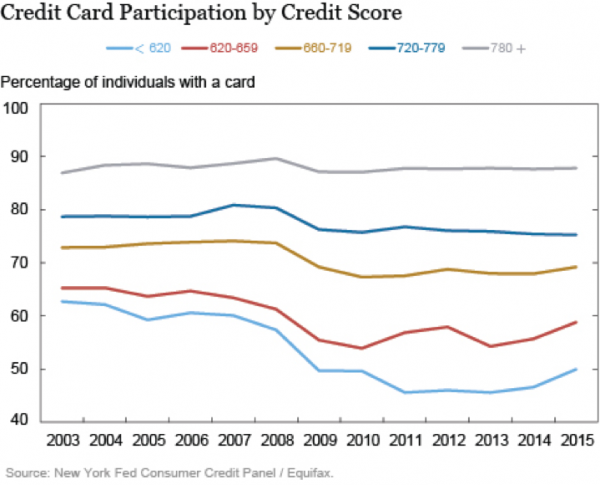 See FRBNY, “Just Released: Recent Developments in Consumer Credit Card Borrowing,” Liberty Street Economics, August 9, 2016, available at http://libertystreeteconomics.newyorkfed.org/2016/08/just-released-recent-developments-in-consumer-credit-card-borrowing.html#.V7TXAFsrJaT. See Alpert, Hockett, & Roubini, supra note 1. See again sources cited supra, notes 1 and 2. See again sources cited supra, note 1. See again Alpert, Hockett, & Roubini, supra note 1. See generally Robert Hockett, Recursive Collective Action Problems, 3 Journal of Financial Perspectives 1 (2015), available at http://papers.ssrn.com/sol3/papers.cfm?abstract_id=2239849. See American Society of Civil Engineers, 2013 Infrastructure Report Card, available at http://www.infrastructurereportcard.org/. Note that the numbers have only grown worse since we cited to the ASCE in 2011; see Alpert, Hockett, & Roubini, supra note 1.